Meeting should be interesting and motivating the whole team to work harder in reaching their target goals. But in reality, a lot of employees view meeting as the number 1 time-wasting event in the company, especially it does not have proper meeting agenda to be discussed and addressed. 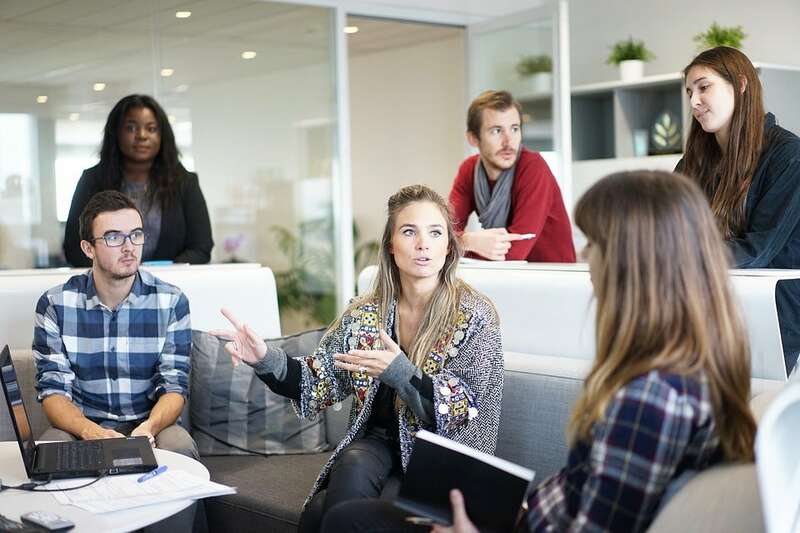 Instead of leaving the team motivated and highly energized, the meeting attendees are often mentally exhausted and frustrated at the end of the meeting. 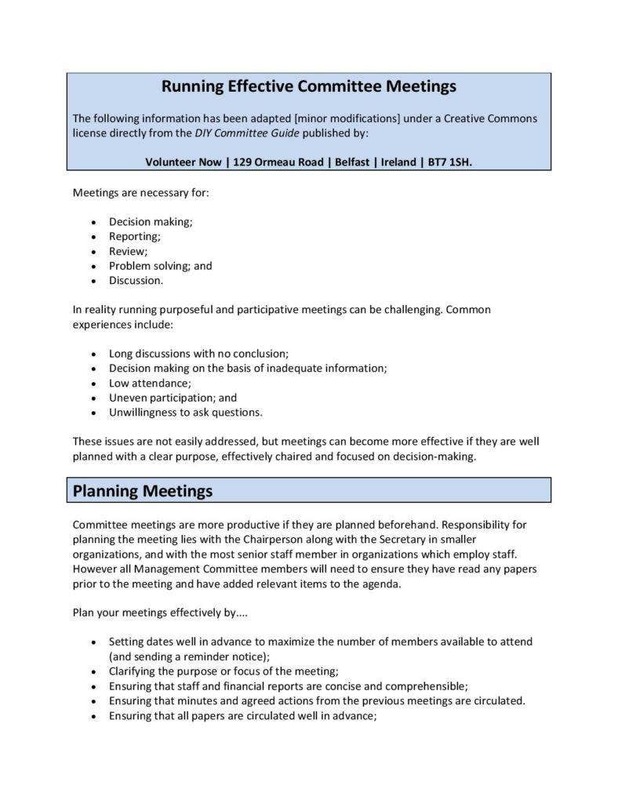 So, how do you exactly ensure that the meeting you will be running is effective and productive? The difference lies on how well you will carefully plan and layout the items or issues to be addressed during the meeting. As an entrepreneur or manager, it is your duty to understand the importance of a good meeting and how proper planning is essential for the success of the event. However, most managers miserably fail in leading effective and productive team meetings because most of them have not undergone proper training. One of the most common problems faced by meeting organizers is how to get the most out of the meeting attendees. Since we all know that not everyone enjoys attending a meeting, it is important to understand that the success and productivity of the meeting depend on how well you can engage the attendees. Spend most of your time talking and not considering whether or not the people present in the meeting understood your presentation is a total waste of time. To help you create a meeting that is both effective and productive, we have rounded up a few list of tips that can boost engagement and inspiration that can help you and the entire team to accomplish goals and address certain issues faced by the company. If you are tasked to spearhead the meeting, one of the most important things that you can to encourage the members to attend the event is to show them a positive attitude towards the upcoming meeting. One of the common mistakes of managers is showing their members of the organization their dislike of attending the meeting. When you display a negative attitude about the meeting, then it can easily contaminate the attitude of the meeting participants. Always remember that a positive meeting attitude is a key to achieving positive results, coming up with solutions, making informed decisions, and inspiring the team members to do their best. Before you draw up a meeting agenda, make sure to identify the set of purpose or goals you and your team is are looking to achieve at the end of the meeting. 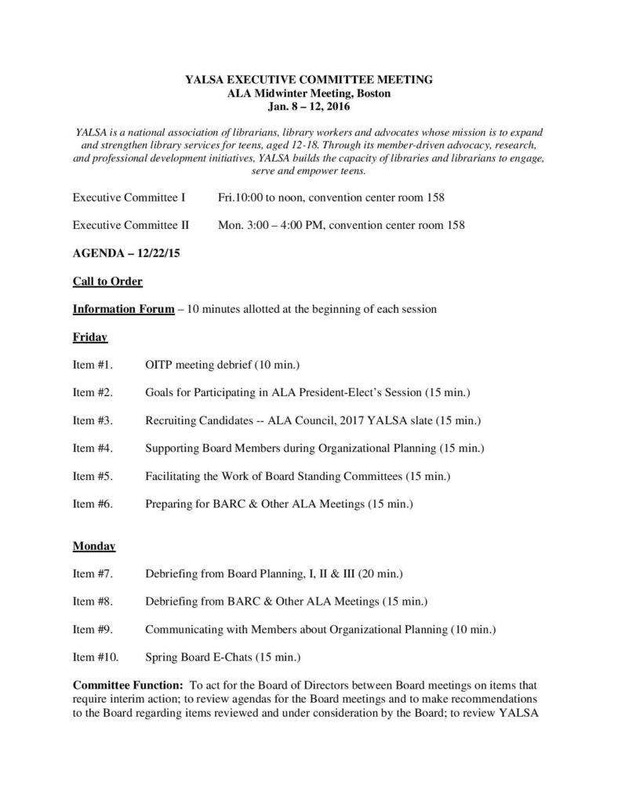 A great way to start is to ask yourself the reason(s) why the meeting is being held. After you have identified the reason(s), contemplate if it is enough to drag everyone into the room and put everything on hold for an hour. Understand that a meeting can be used as a powerful tool to achieve company goals. It is the perfect opportunity for everyone to catch up on the current happenings and issues in the company. And since reinforcing team goals is the center of team meetings, make sure that the meeting can put everyone on the same page. If you are looking to boost your weekly or monthly sales, then be certain that your agenda items will reflect the purpose of your meeting. After you have identified the purpose or goals of your meeting, then you must be equipped with an agenda. Typically, running a meeting without an agenda is like a journey without a clear destination, which can be a major time waster. Having a meeting agenda helps in identifying the issues that required to be prioritized and keeps everyone focus and on the right track. 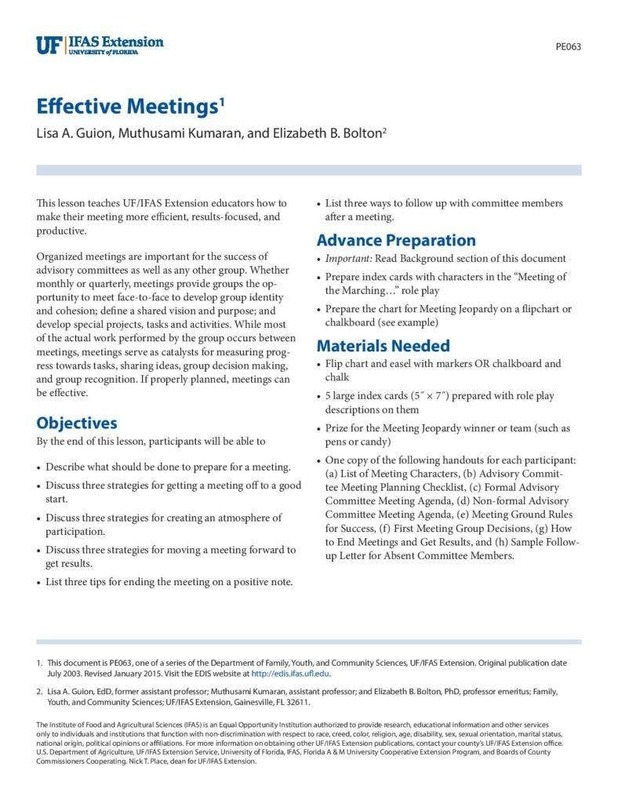 Your agenda format should also include a list of the people attending the meeting. A lot of times, preparing an agenda can be stressful because you have to prioritize which items should be prioritized during the meeting. However, asking input from people who will be attending the meeting can also help you determine the crucial items, which you are not aware of. You can then brainstorm how to prioritize and address these issues. You do not have to run and do all the talking during the meeting. You can assign some participants or invite guest speakers to share their thoughts on certain topics. Asking them to take participation during the meeting can make these people feel empowered by their responsibilities. Additionally, inviting guest speakers to discuss different topics is a great way to make the attendees pay more attention especially when each speaker has a different presentation style. Oftentimes, lengthy meetings do not ensure productivity and success. The majority of the attendees hate to sit down in meetings that would run for hours. Remember that time is always precious, especially in the business world, and nobody wants to get their time wasted in lengthy and pointless meetings. 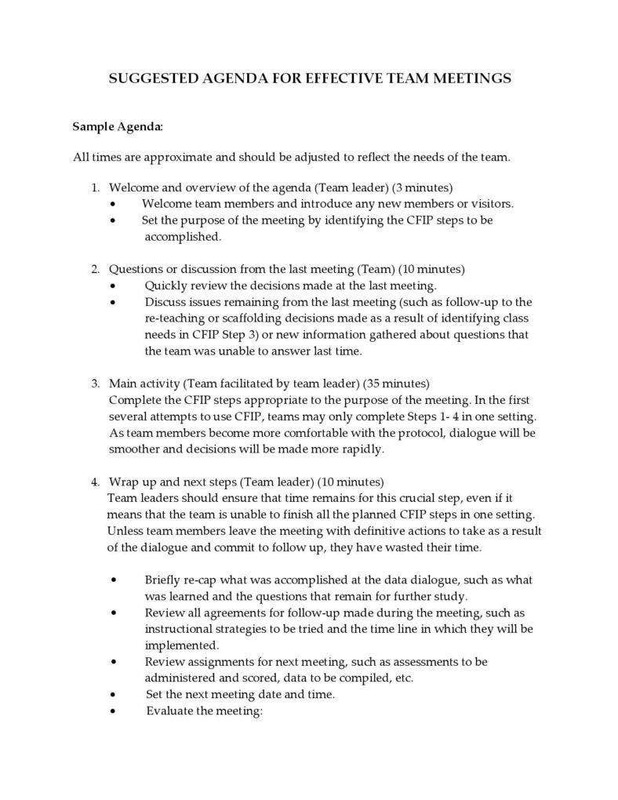 In order to avoid this, carefully estimate the duration of the meeting and ask each speaker how long it would take time for them to discuss their assigned topics. It is highly essential to assign someone to take the minutes at every meeting. 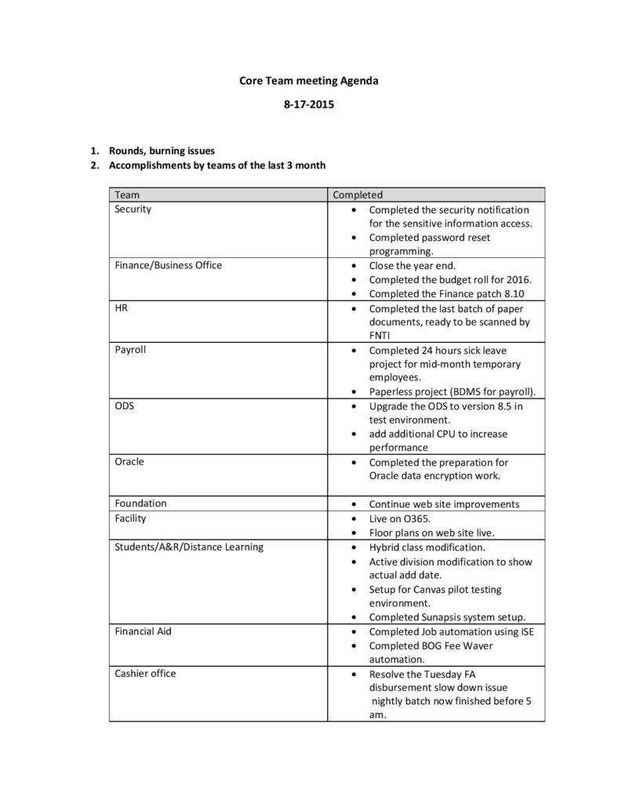 The meeting minutes are usually used as your record of the items that were discussed and decided at the event. 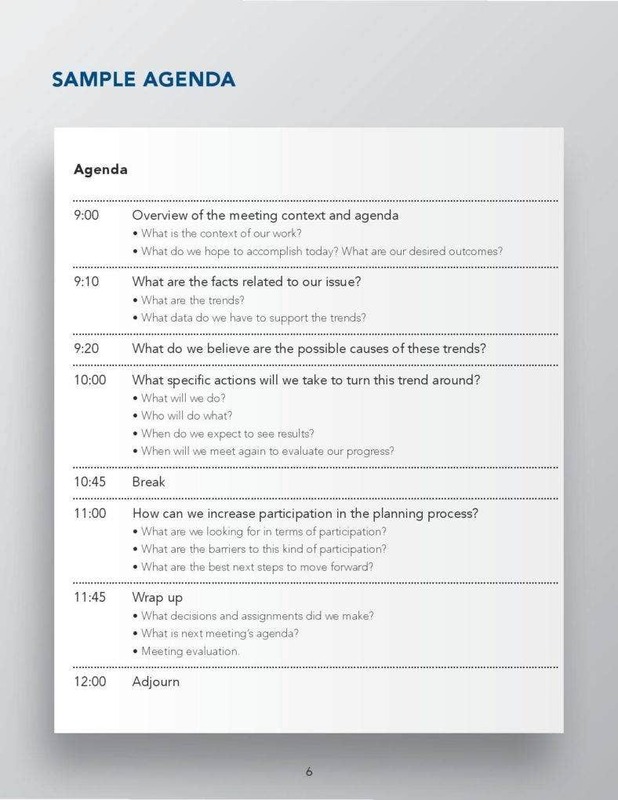 You can also use the information in designing your next meeting. 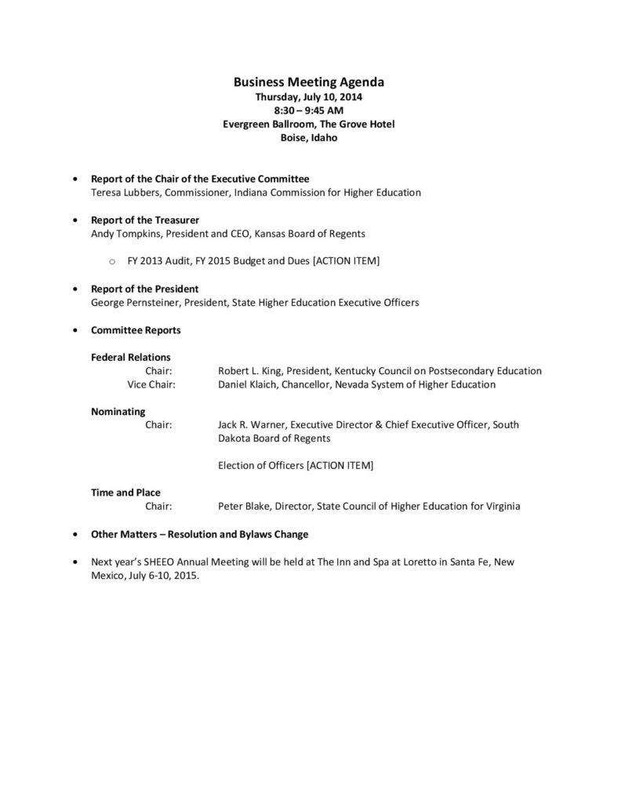 At the end of the meeting, the person tasked to take the minutes shares a copy to the attendees. Nobody wants to sit down in a meeting that drags on and drags. The same is true for a meeting that ends prematurely without achieving its goals and addressing and solving the problem. That is why it is extremely important that you carefully budget and stick to the time duration of the meeting instead of abrupting it when the time is up and sending everyone back to their work stations. After all the items have been discussed, make sure to have an action plan and make sure that everyone sticks to it. Oftentimes, it can be a very frustrating experience to have everyone showing up to the next meeting only to find out the some of the members failed to follow the plan that has been provided in the last meeting. As an effective leader, it is your responsibility to keep track of the action items and follow up its progress before the next scheduled meeting and hold the members accountable for the accomplishment of the plan. 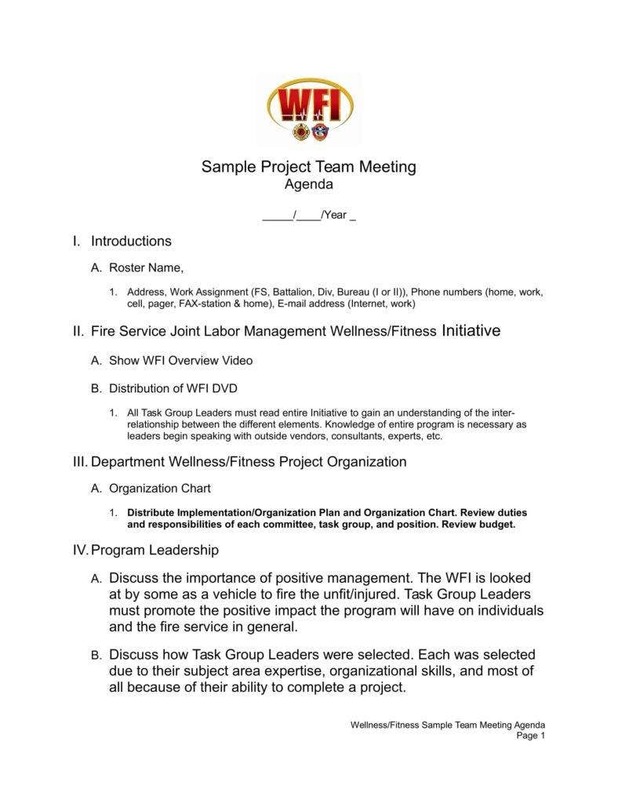 In this section, we will provide you with a short list of the elements that are key to an effective team meeting. As the meeting organizer, it is your duty to make sure that everyone in the team has the same vision. In order for the team to have an aligned vision, proper and effective communication is crucial. You can also brainstorm for ideas that will creatively remind everyone in the team of their duties and responsibilities to the company. A good administration allows its members to interact with the relevant happenings in the company, get to know the updates and latest information and announcement to ensure that all the team members are aligned with the results that you are targeting. Conducting regular training can help employees harness their skills, as well as discovering new ones. Whenever you are having a huddle or conference, make sure to engage different types of leaders and allow them to perform different roles. You can assign them to lead small groups for planning and discussions. It is important for every meeting organizer to understand that a team meeting is a terrible time to waste. That is why it is highly crucial to allocate enough time for preparation and planning to boost team performance, as well as push initiatives forward. Additionally, always keep in mind that your meeting agenda should be properly structured and order to ensure that everyone is on the right track in achieving the targeted goals of the meeting. Now that we have already reached the last part of this article, we encourage our readers to browse more templates from our website. 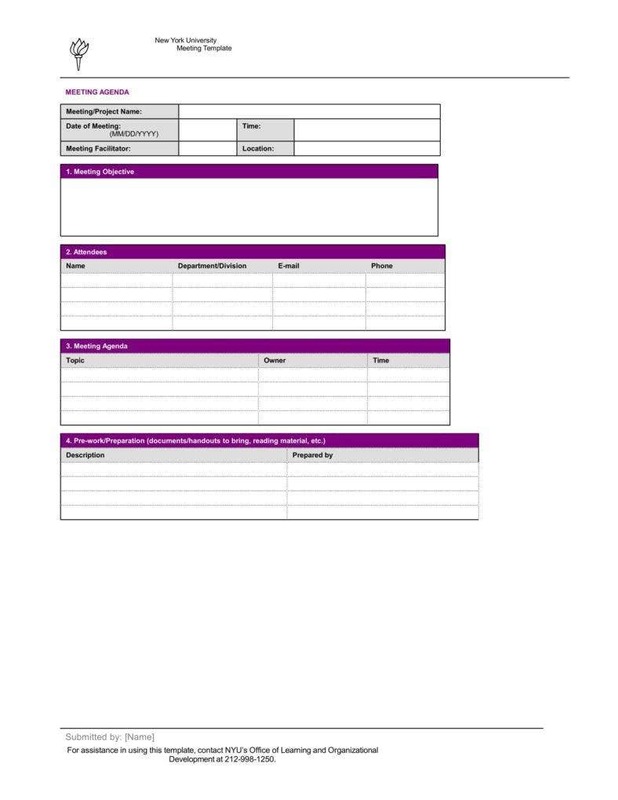 Feel free to check out our marketing meeting agenda templates, informal meeting agenda templates, and sales meeting agenda templates. They are all available for free download. 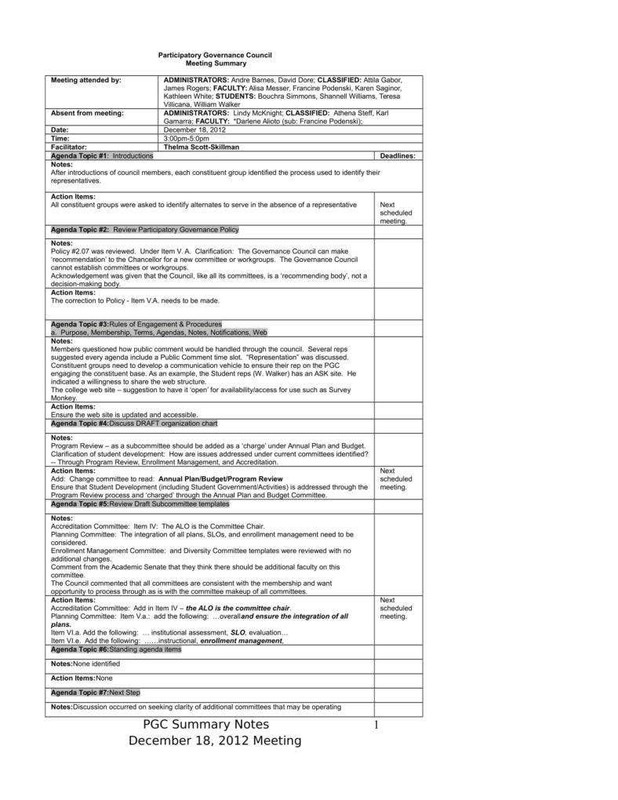 You can easily modify these templates to match your personal purpose. So what are you waiting for? Download them now!